The united SAAA championships of 1897 took place at Celtic Park on 26th June in conditions described in the official report as ‘fair, light S.W. winds.’ There was a new sprint double winner in FW Sime of United Hospitals AC who won both from Hugh Barr in 10.6 and 23.4 seconds respectively. W Donaldson won the 440 yards in 52.8 and Hugh Welsh won both 880 yards and Mile in 2:02 and 4:24.2. Second place in each was taken by the previous year’s SAAU champions – the half-mile by J Barclay and the Mile by W Robertson. Robertson had some compensation in that he had won the Ten Miles on 9th April at Hampden in 56:19. No other competitor finished in that race however. The Four Miles at the championships was won by J Paterson of Watsonians. Hugh Barr won the Broad Jump with 21′ 11″ from WC Taylor and JB Milne won the High Jump with 5’6″. The Shot/Hammer double was won by JD McIntosh. 440 yards: JW Donaldson, Salford Harriers, and GC Thomson, Edinburgh Harriers. Hammer and Shot: J McIntosh, Edinburgh West End Rowing Club, and N McInnes, Edinburgh University AC. Before that however the English championships took place the following week. Welsh was a great hope but after the meeting the Scots all waxed indignant at the treatment he received during the race – he was jostled right from the start and after 600 yards he had been spiked in the heel and did well under the circumstances to finish the race only 30 yards down on the winner. The AAA were exhorted to investigate the matter. JW McFarlane was third in the high jump and the broad jump was won with a distance of 21′ 4″ – a distance well within Hugh Barr’s capabilities had he been there. There were eleven events in the International in July and Ireland won by 3 events – 7 events to 4 events. The Scots victories were in the 100 yards (Barr and Sime took first and second with Barr’s time 10.5 seconds), 220 yards (same result with Barr’s winning time being 23.2), the 120 yards hurdles with Timms timed at 19.4 seconds and the Weight Putting where McIntosh and McInnes were first and second, the winning putt being 42′ 9″. Other second places were Barr in the Broad Jump, McIntosh in the Hammer, Donaldson in the 440 yards. “Even the glamour of a championship meeting has lost its fascination with the athletics-loving public of the West of Scotland. On Saturday the drawings at Hampden Park amounted in round figures to £120; three seasons ago when there was division and estrangement in athletic circles, when the East isolated itself from the West, the championship gathering of the two meetings yielded about three times that amount. There was vigorous life in athletics in those days; now a process of decomposition is going on, which, if not arrested, must inevitably ruin the athletic fabric. While there was nothing of a sensational character in Saturday’s proceedings, the sport throughout was uncommonly interesting. The presence of Welsh, however, would have made a great difference, and it is just possible that the results developed would have placed W Robertson of Clydesdale Harriers who, in the absence of the Watsonian, had no difficulty in winning both the half-mile and mile events, on a higher level than he now occupies. At all events, better performances than 2 min 2 sec for the one, and 4 min 38 4-5th for the other would have been drawn from him, and as ‘time’ is the one great test of a pedestrian’s genius, we can only regret that Welsh was not present to facilitate Robertson in the accomplishment of performances worthy of a championship meeting, and the ability which he is known to possess. As usual the AAA’s championships were held the following week but this year there were Americans and Africans as well as the usual Scots and Irish competitors. However, the Scots had a fit Hugh Welsh competing and he won the Mile fairly comfortably which augured well for the international at Ball’s Bridge, Dublin on 18th July. Scotland was beaten by 9 events to 2 with two individual victories being scored by Hugh Welsh in the 880 yards (2:01.4) and Mile (4:33). Hugh Barr had two second places in the sprints and one in the Broad Jump, Donaldson (440), Munro (four miles), Milne (high jump) and JD McIntosh (Putting the Weight) were the other Scots to be second. 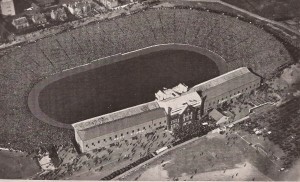 The 1899 Championships were held at Hampden Park on 24th June when the report described the conditions as dull with West and North-West winds. It was the ‘year of the Welshes’! Not only did Hugh Welsh win both 880 yards (2:00.8) and Mile (4:38.8) but his younger cousin WH (William Halliday) Welsh won the 440 yards. The younger Welsh would go on to win four quarter mile titles and in the next year he would ‘do the treble’ – that combination of 100, 220 and 440 that very few Scots have managed. Born in Edinburgh on 4th September, 1879, he had attended Merchiston Castle School where he had been an outstanding all-round sportsman. 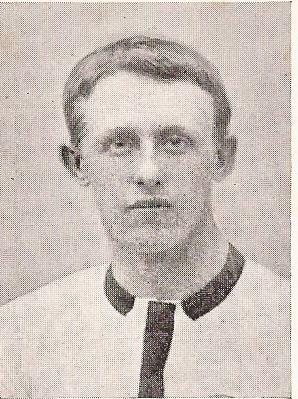 in the 1898 school sports he had won 100, 440, mile and throwing the cricket ball and in 1899 he set an Inter-Varsity record for the 440 of 52.8 in Aberdeen. As for the rest of the events, WE Callendar won both 100 and 220 yards from JB Auld who had been regularly in the first three in the sprints over the previous few years. Paterson again won the four miles (in a slower time than in 1898), Fletcher again won the hurdles (in a time over a second quicker than the year before), Barr won the Broad Jump with a leap of over 22′, MN McInnes won both throws and JB Milne repeated 1898’s high jump with exactly the same height. 4. JH Duffus be suspended for having failed to appear before the Committee to give evidence. Robertson, Stewart Duffus, Rodger and Mitchell had all been Scottish champions and even record holders and it was a huge blow to the Scottish athletic scene to lose them. “Always an event of considerable interest, the athletic championships on Saturday drew a very gratifying crowd to Hampden Park, the attendance might, indeed should, have been larger. The various competitions were of a very high order and, but for the breeze, which was very troublesome at times, there would have been several first-class performances. The ‘times’ all round are very creditable when allowance is made for the weather conditions. Welsh’s time in the half-mile, for example, is very fine and under normal conditions his own native record of a few weeks ago would have been lowered. Fitzherbert, the old Glasgow University athlete, made a bold effort to secure this event, and up to 70 yards from home the race looked a safe thing for him. At this point however Welsh put in a marvellous sprint, and with every stride drew away from the Englishman and eventually won by seven or eight yards. This was unquestionably the finest effort of the whole meeting. Hugh Welsh did not exert himself in the Mile; all he wanted was victory and this he had no difficulty in securing from J McDonald who had the magnanimity to turn out merely to save the race from being a farce. The quarter-mile was a very stiff race. In this as in the half-mile, Fitzherbert led most of the way, but when the crucial moment came, he could not respond to the call. No doubt he suffered in this race from the gruelling he received in the half-mile with Welsh, and as matters turned out he might have fared better had he only taken part in the quarter. The winner was WH Welsh, Edinburgh University, a cousin of the mile champion. He finished very strong and his time, 52 1-5th seconds, was the best, when we take the conditions into account, that has been achieved at a Scottish championship for some years. Fitzherbert declined in the last 50 yards, so much so that Halkett, of Finchley Harriers, and P Shanley beat him for second and third positions. The Celtic representative ran perhaps as well as he ever did in public but this does not imply that he came up to the expectations of those who nursed him for the race. WE Callendar won the 100 and 220 yards races with comparative ease, giving one the impression that had he been called upon to do even better ‘times’ he would easily have done so. He is the ‘discovery’ of the season and whatever his future may be he at all events has begun his career full of promise. The jumping, both high and long was good, Milne and Barr retaining their championships, the former with 5’9″ and the latter with 22′ 0.5″, while the physical events were carried off by McInnes of Edinburgh University. 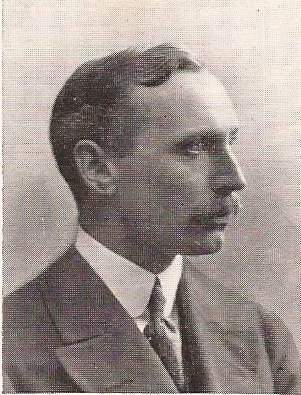 The Irish team for the international was said to be very strong but the Scots had Hugh Welsh in the half-mile and Mile, Hugh Barr in the Long Jump (and it was the Long as opposed to the Broad Jump in the international) and J Paterson in the Four Miles and the sprinters were felt to be better than the Irish. But before that there was the AAA’d championships for the top men, mainly Hugh Welsh who won the Mile for the second year in succession. 220 yards: W Callendar 23.25; 44o: WH Welsh 52.4; 880: H Welsh 2:03.8; Mile: H Welsh 4:32.6; Four Miles: J Paterson 20:34; Long Jump: H Barr 23′ 02″. The ‘Glasgow Herald’ headline told the story – Scotland Gains Her First Victory – Scottish Records Broken.’ The records were in the Long Jump and the High Jump.